Thanks to a transformative gift from Jo Elyn Nyman, a pediatric psychotherapist and supporter of children’s causes, Hospice of Michigan will expand its pediatric hospice, palliative support and research programs statewide. 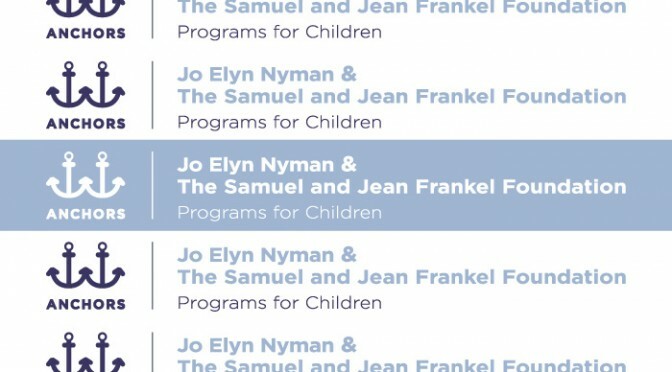 The support was made possible through gifts from the Samuel and Jean Frankel Foundation, which was started by Nyman’s parents. Nyman’s gift will allow Hospice of Michigan to offer services free of charge to children and families across the Lower Peninsula under a new umbrella program called Jo Elyn Nyman Anchors Programs for Children. It will also establish the Center for Pediatric Research and Education, a first-of-its-kind research center in the nation dedicated to exploring and educating on the unique end-of-life issues faced by children and their families. James B. Fahner Pediatric Hospice, which was established in 1995 and named after its founder, receiving gifts from Rich and Helen DeVos, Ken and Judy Betz, Jim and Shirley Balk, Karl and Patti Betz, and Tom and Mickie Fox. The program provides patients with a dedicated, experienced team of pediatric-trained staff who offers comfort care, nursing, spiritual, emotional and grief support for children facing a terminal illness and their families. Compass Support Program, formerly known as the Pediatric Early Care program, is designed for children who have a potentially life-limiting illness, continue to receive curative treatment and are not yet eligible for hospice services. The program offers an experienced pediatric social worker to provide emotional, social and decision-making support for the child, parents and siblings, connecting them with specialized community resources that can assist with financial, emotional, social, legal and other needs. Perinatal Hospice Care, provides individualized support to expectant parents of an unborn child diagnosed with either a terminal or potentially life-limiting illness. The program offers emotional, social and nursing support to parents as they anticipate and prepare for the birth of their child while also grieving the anticipated loss of that child either during pregnancy, at birth or shortly after birth. Center for Pediatric Research and Education, which as a program of the Hospice of Michigan Institute, will conduct research based on best practices at the bedside with opportunities for end-of-life care training programs for students, residents and fellows.